GPM supply the largest range of foam centred boards in the U.K.
GPM supply the largest range of foam centred boards in the U.K. ranging from self-adhesive and heat activated through to acid free and textured finishes and foam centred boards with plastic liners. 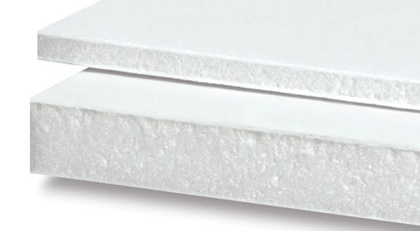 Most of our foam centred boards are available in a choice of thickness and in white or black. In a constantly evolving market you can rely on GPM to remain abreast of new developments and supply the best products for the job – contact us for expert advice and competitive prices. Products that won’t cost the earth. As sole UK distributors for US manufacturers Gilman Brothers, we are the only British suppliers of biodegradable and recyclable foam board. 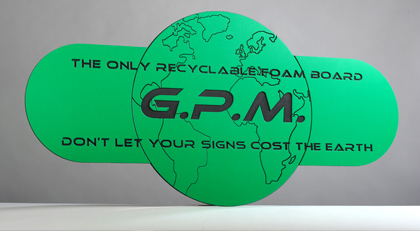 While most foam boards take 800 years to degrade, the new biodegradable foam board will break down in just 1-5 years, so you can buy safe in the knowledge that your signage won’t be damaging the environment in years to come. 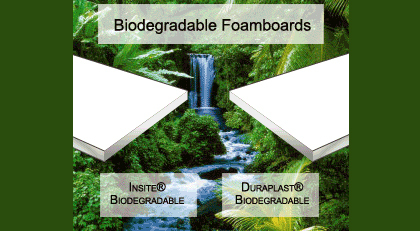 Our recyclable foam boards can be ground into pellets to make high impact styrene. Dealing direct with the manufacturer, we are able to offer these, and all our products, at very reasonable prices – making economic and environmental sense. 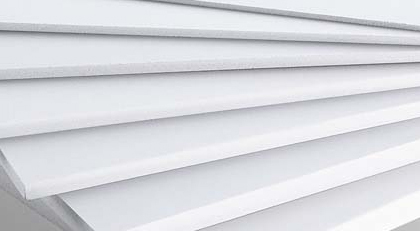 In addition to foam board, we also supply other substrates including Gatorfoam, display board, fluted plastic, acrylic, foam PVC, self-adhesive vinyl, semi-rigid PVC, rigid PVC, styrene and polypropylene. 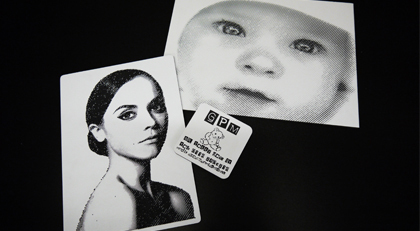 These can be supplied in sheet form, or cut, coated, shaped and printed to your specification. 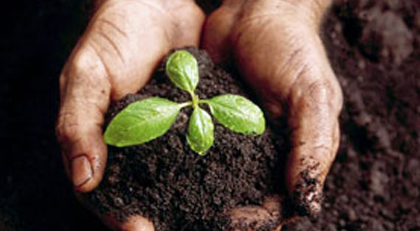 Suppliers to the trade, retailers or direct. 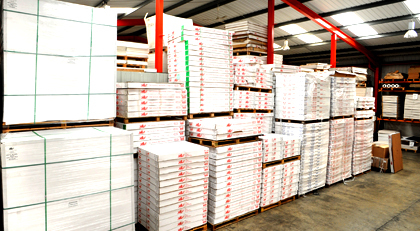 As the UK’s main importer of foam board, we can supply large quantities of foam board products to merchants or retailers. We’ll do this with total discretion, packaging and despatching using your own labels and delivery notes. We don’t just deal with large orders though, we’re happy to supply small quantities to individual clients; including single sheets or bespoke shapes and sizes. Our service is designed around your needs – we can source, supply, cut, shape, collate, package and deliver; so just tell us what you want us to do!